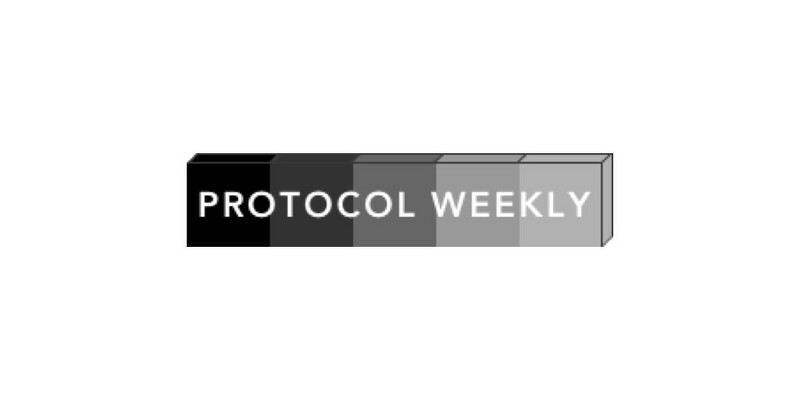 Welcome to another week of Protocol Weekly! Look forward to seeing you all again next week! Our Tech Road Map for the first half of the year has been published and includes exclusive details on the new mainnet hub, mobile app v2, DEX mainnet release and much more. Deployment of improved contract with new features on rinkeby testnet. Aragon announced that they will deploy aragonOS on Polkadot. New Substrate events listener & storage adapter. Web3 Foundation announced a grant to Chainsafe to build a Polkadot runtime environment in Go. Robonomics used Substrate to build a blockchain that controls robots. Going to ETHDenver? We’d love to see you at our meetup. Easwap.com (by the InstaDApp team) is the first project to integrate Kyber’s Permissionless Order Book Reserve, allowing anyone to permissionlessly list a token and post bid/ask limit orders! WBTC (Wrapped Bitcoin) is now live on Ethereum. WBTC is an ERC20 token fully backed by real BTC, and is a community-led initiative to bring Bitcoin liquidity to Ethereum. WBTC will be utilizable across all applications which have integrated Kyber’s liquidity protocol for decentralized token swaps, including the areas of End User Token Swaps, Exchanges and Trading Programs, Payments for NFTs and Commerce, and Decentralized Finance. Apart from Kyber, there are 25 other launch partners, all of whom are playing important roles in driving governance, liquidity and adoption for WBTC. It’s now easier than ever to transact on a decentralized marketplace with the release of Origin Wallet — our first native mobile application available for iPhone on the App Store. Please download Origin Wallet today and let us know what we can do to improve it. Our product development process is completely open and collaborative, and we appreciate all feedback and contributions. Earlier this month, we announced the small step of supporting editable and multi-unit listings in our Marketplace DApp. Now we are even prouder to announce support for homesharing. You can now create listings on our Marketplace DApp similar to Airbnb with a calendar showing pricing and availability. One thing we need help with: As announced last week, Origin Marketplace Creator is a new tool that enables anyone to construct their own decentralized marketplace in a matter of minutes. If you are interested in setting up your own marketplace or have any questions, please reach out to jon@originprotocol.com or coleman@originprotocol.com. We hosted Graph Day on January 25th at the Grand Theater in San Francisco. We had a tremendous lineup of speakers, and we announced our Hosted Service and Graph Explorer. Read the announcement on our blog. We just posted the Graph Keynote by Yaniv Tal, and will be posting more videos from Graph Day over the next couple of weeks. ETHDenver is less than two weeks away! The Graph is one of the sponsors, so be sure to come by our booth to say hello. We hope to see you all there! We’ll have bounties available to build on The Graph which will be announced soon. Last week, AirSwap’s parent-company Fluidity announced that Propellr, an integrated FINRA-registered broker dealer, is becoming Fluidity Factora. Read more on the latest Forbes article. WBTC went live on AirSwap last week alongside all of the WBTC merchant and DAO members. Read more about the initiative here. The AirSwap team released DexIndex.io–an open source tool that searches Ethereum DEXs for the best token prices. We’ve already received a tremendous response from the community and have also landed on the front page of Product Hunt. If you’re interested in contributing to DexIndex, you can do so here.